There’s a bit of a debate in my family about how tart a lemonade should be. On a scale of one to Chick-Fil-A, with one being on the sweeter, less tart side, my taste falls at about a 3. My dad’s a bit more in the middle—maybe a 5 or 6—but my mom is all about that Chick-Fil-A tartness. Fortunately I’ve learned how to balance all of our tastes so I don’t have to make two whole pitchers of lemonade (that’s a lot of work, after all). But goodness gracious, that tart is just too much. While you can’t go wrong with a classic lemonade, sometimes it’s fun to experiment and mix up some new flavors. 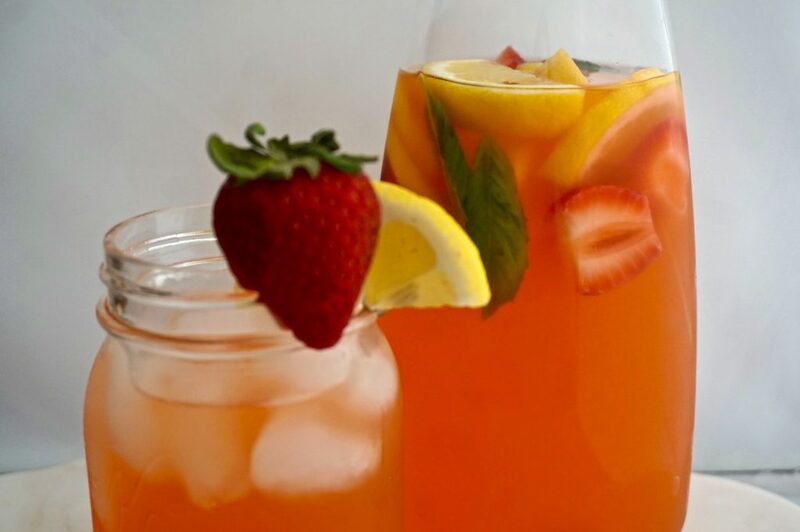 Since May is National Strawberry Month, I’ve been playing with some new strawberry recipes and thought I’d try a berry twist on pink lemonade. It’s a nice balance between the sweetness of the strawberry and the sour citrus, and a little basil adds a nice touch of fresh earthiness that ties the whole beverage together. This may be my new favorite summer drink! 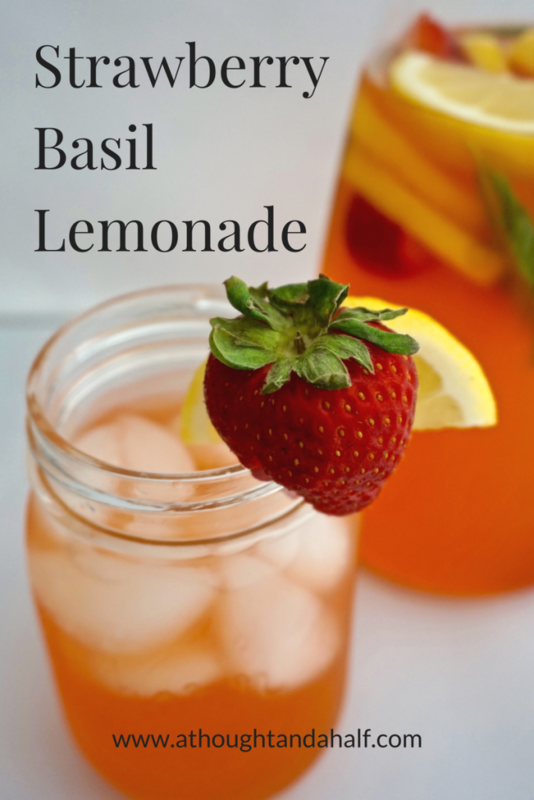 Here’s my recipe for a delicious Strawberry Basil Lemonade! It’s sure to be a hit at your next picnic or party. The recipe can easily double for more! Juice the lemons, straining seeds and pulp. Heat a small saucepan over medium heat. Pour in lemon juice. Add sugar and stir until combined. Add strawberries and stir. Keep it over the heat for 5 minutes to allow the strawberries to infuse. After those 5 minutes, reduce heat to low and add the basil leaves. Infuse for 2-3 minutes. Remove pan from heat and let the lemon syrup cool. Once cooled, remove strawberries and basil leaves, and pour into a carafe or pitcher. Add more lemon slices and strawberries. Fill remainder of carafe or pitcher with water. Refrigerate until ready to serve. If you want to to booze it up a little, add your favorite vodka to the carafe or pitcher at the end, and then fill with water. 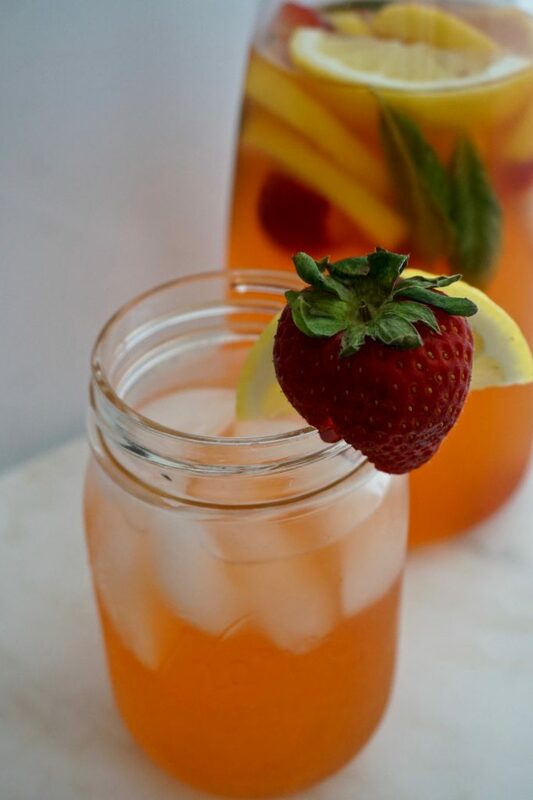 Strawberry- or lemon-flavored vodka would really bring out those flavors and add a serious kick to this already refreshing and delicious beverage. Light rum wouldn’t be a bad option, either! What’s your favorite flavor of lemonade? Do you prefer sweet or tart?